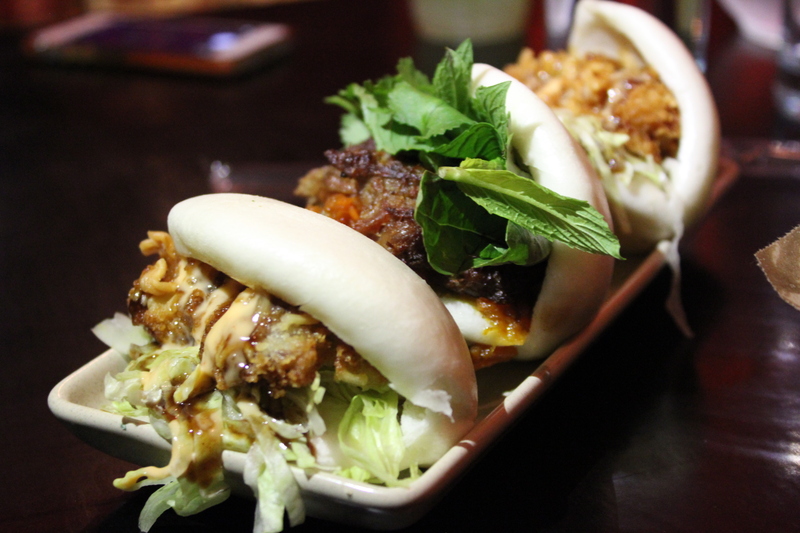 Lucky Chan’s is brought to you by the team behind Cocktail Gastronomy and The Classroom. Being the talk of the town, it is known as the first restaurant in Perth and Australia to be crowd-funded from it’s innovative Pozible campaign last year. And yes, it’s right in the heart of William Street. For our second round of our bloggers/instagrammers/foodies catch up, we went on a foodie adventure to pay a visit to Mr Chan at his laundry, Lucky Chan’s. Lucky Chan’s is indeed like no other. From the outside, it looks like a laundromat. Take a few steps and you are at the heart of Lucky Chan’s. As the ground floor was fully occupied and we had a large group, we went up the stairs, passed by the Ramen Room, up and away to the third floor which is the rooftop bar. Take a look around and you are surrounded by modern and creative interior with Asian pop art and iconography from the walls to stairs imprinted with quotes. It’s pretty cool. Let round two of the foodie adventure begin! Between the five of us girls, we shared the Danny Ramen (chef’s choice) ($15.90) and the Shoyu (soy) ($14.90). When you order your ramen, Mr Chan gives you a choice to choose your spicy level from a chilli scale of 1 to 20. We picked a safer chilli scale of 5. 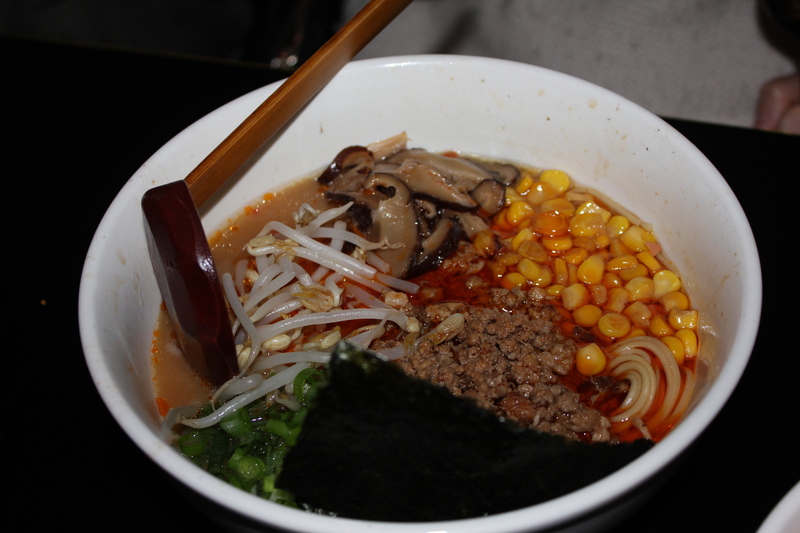 Comparing both the Danny Ramen and Shoyu, we preferred the Danny Ramen as the broth was much more flavoursome and tasty from the combination of the Szechuan spicy pork mince, the buttery textures of the corn with a touch of freshness from the spring onions and bean sprouts. 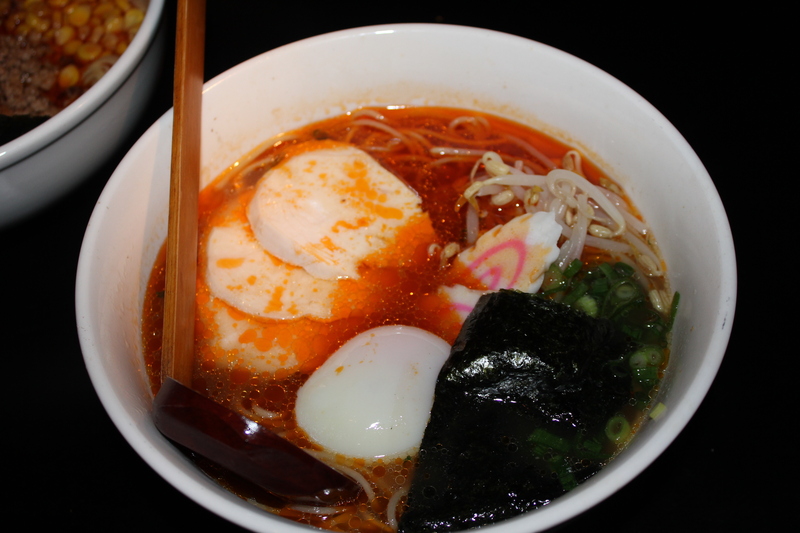 For the Shoyu Ramen, the 62 degree egg was a standout with golden liquid oozing and spreading through the soup. 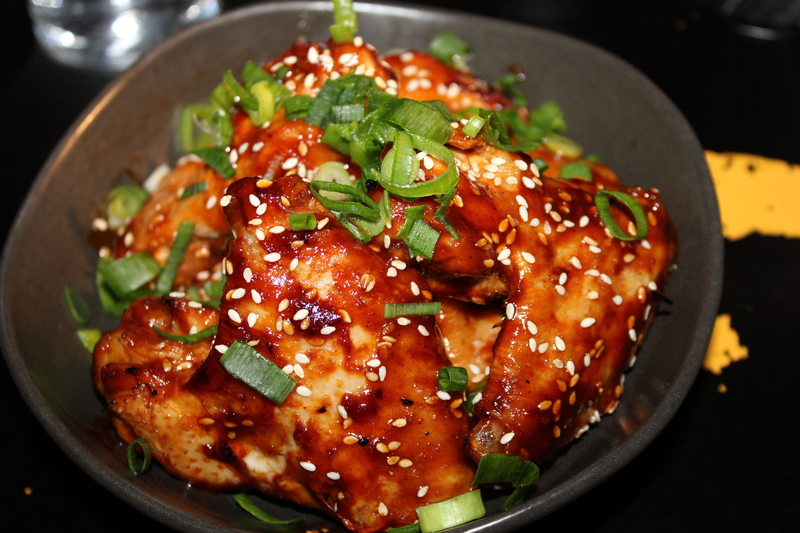 The sliced Hanoi Chicken was cooked perfectly and was tender, complementing well with the soy based broth. For both of the ramen, the housemade noodles were pretty good too. 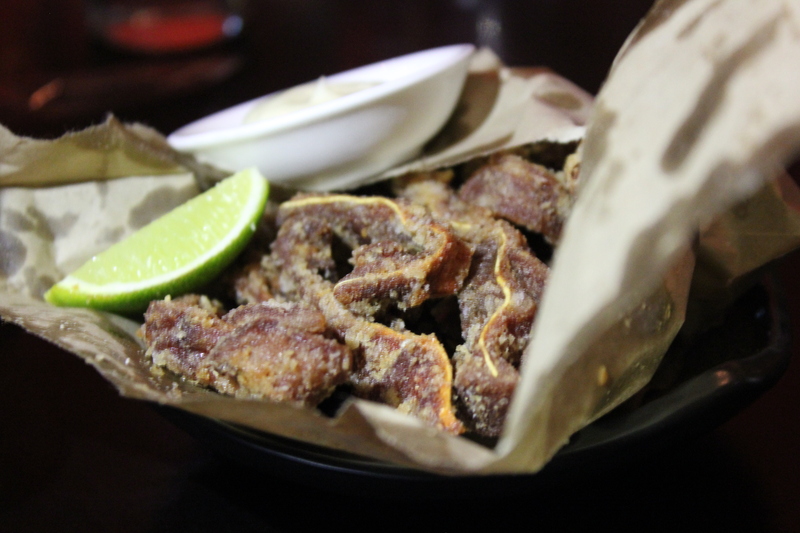 I managed to sneak a taste of the crispy pig ears, although I am not a big fan of pig ears, intestine, tail, you name it. To my surprise, I actually enjoyed the pig ears and thought that they were well seasoned, crispy on the outside with a chewy texture. Delicious! Looking at what the food my dining partners ordered, I immediately thought of a second visit straight away. Time for desserts. 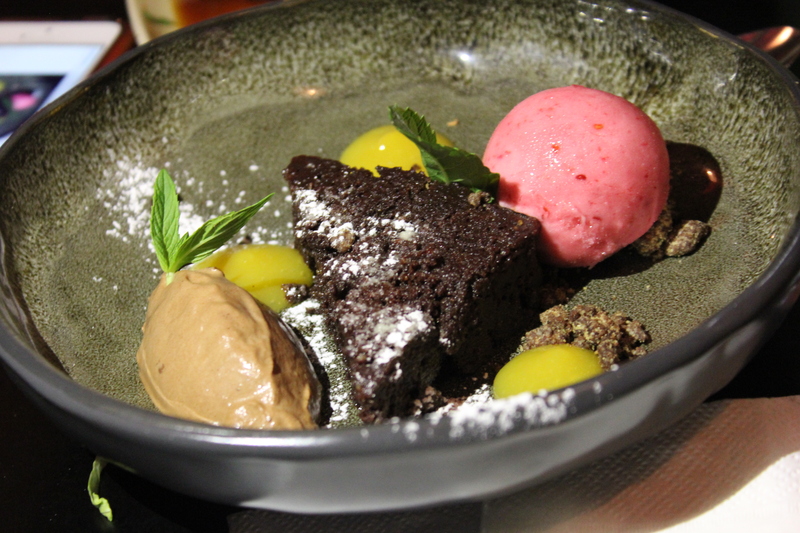 We had the fried jackfruit wontons, black sticky rice and coconut ice cream ($15) while my dining partners had the black chocolate cake, aerated chocolate, mango and raspberry sorbet ($15). 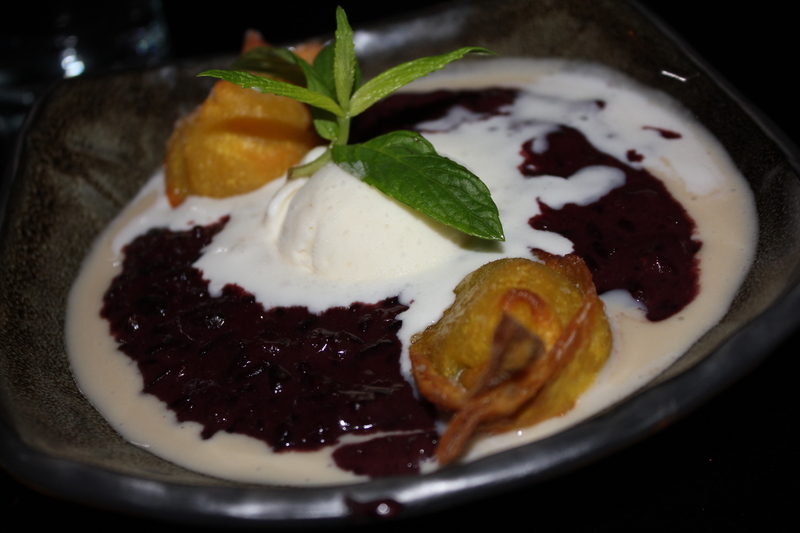 Overall, the dessert had a lovely balance of flavours and it was not overly sweet. One spoonful of each element and you are transported to Asia. I must also admit that the black chocolate cake looks divine and I could definitely hear positive reviews for those who had the cake across the table. Just before we leave, we were each given a fortune cookie to finish off the Lucky Chan experience. 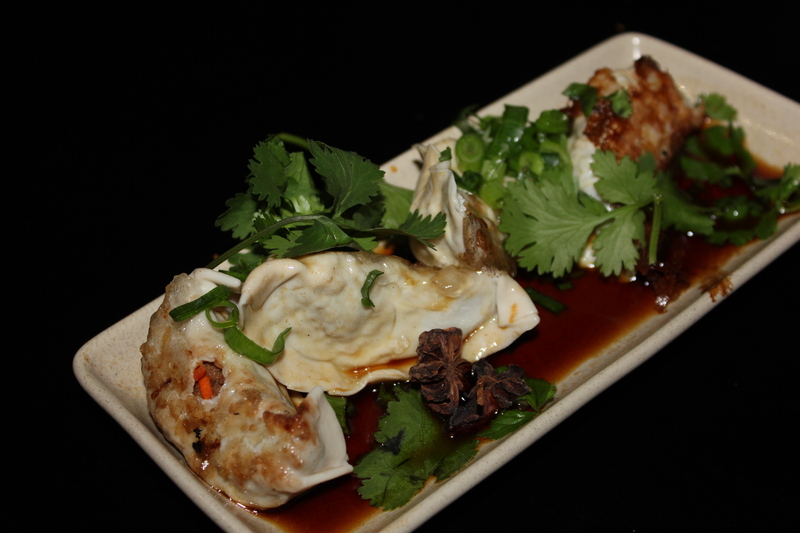 I think everyone on our table would have agreed that we had a great and enjoyable dining experience at Lucky Chan’s. I don’t know about you but I think that Lucky Chan’s is pretty awesome.